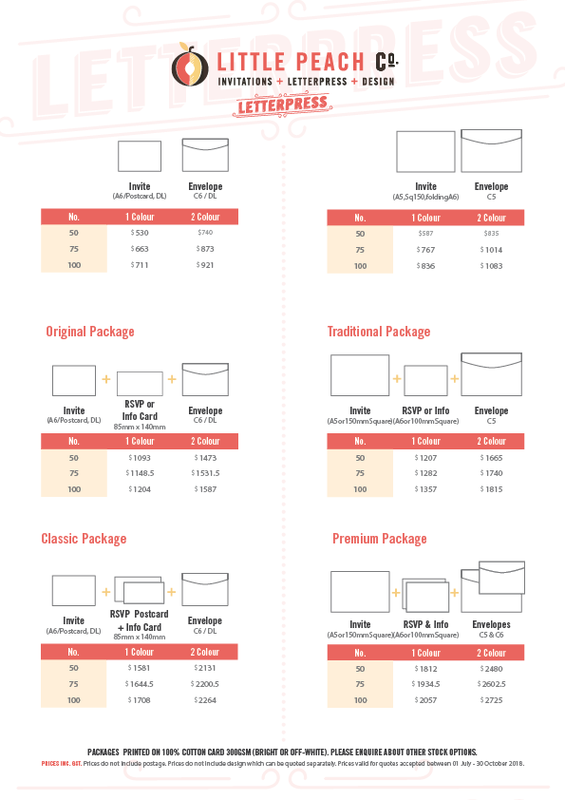 All the info you need on pricing for Little Peach Co.’s line of invitation products. We supply invitations for weddings, engagements, birthdays and more. Contact us to further discuss our pricing and order a custom quote. We’re more than happy to get specific and we’d love to get to know your project in detail!